If you have children and are looking for a fun activity City Farmers also has many animals at the nursery that they can see up close (and sometimes pet) including chickens, goats, rabbits, turkeys, turtles, and fish. There is also a small playground area with small slides and play houses for them to enjoy. Recently City Farmers celebrated the reopening of the adjacent Nate’s Garden Grill, named for owner Bill Tall’s father. The grand opening was last weekend and hours are Tuesday through Saturday 8 AM – 10 PM and Sunday 8 AM – 3 PM. Nate’s features 21 beer taps and a food menu that looks delicious and has an emphasis on produce. The goal of Nate’s is to “provide tasty fresh food, local ingredients, a friendly atmosphere, and an expansive selection of craft brews and local wines all at a good value”. This Saturday there is another grand opening at the nursery, this one of Hornbill Produce Farmers. Ran by Burmese refugees, the produce stand will be open Tuesday through Saturday 10 AM to 5 PM and Sunday from 10 AM to 3 PM. For the grand opening event there will be live bluegrass and folk music, as well as traditional dance performances from Burma/Myanmar. The produce stand is a joint effort of City Farmers and the International Rescue Committee of San Diego. 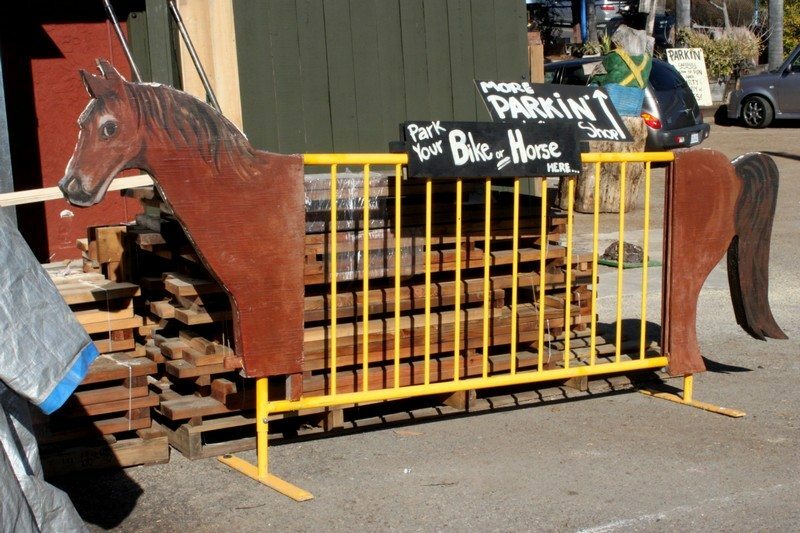 If you’re riding a bicycle to City Farmers they have a newly installed ‘horse-rack’ for you to park your bike at, as well as a recently expanded parking lot if you’re in a motor vehicle. 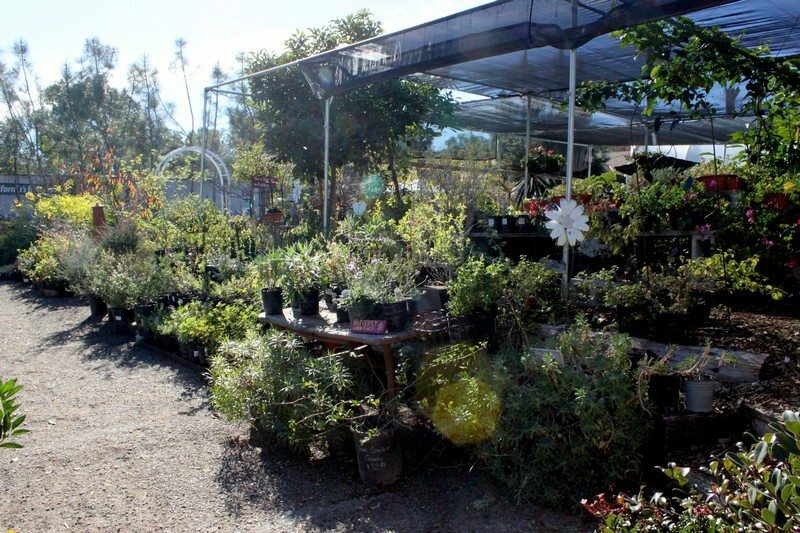 Whether you’re interested in raising crops, chickens, or bees, or simply looking to spend a little time walking through the nursery and enjoying the abundance of plants City Farmers is a great resource for both purchases and information. For an idea of what the nursery looks like, check out Annie Lane’s January photo gallery here. This place is, by far, my favorite nursery in the entire county. Peter – glad to hear that you’re also a fan. I completely agree. John, you absolutely made our MONTH by doing such a solid coverage of our nursery. It’s from the support of our community that I’ve been able to make my dream a reality for the last 40 years, and a MAJOR part of that support has been from caring and willing-to-go-the-extra-mile media who takes the time to shed a bit of light on us “little guys”. P.S. 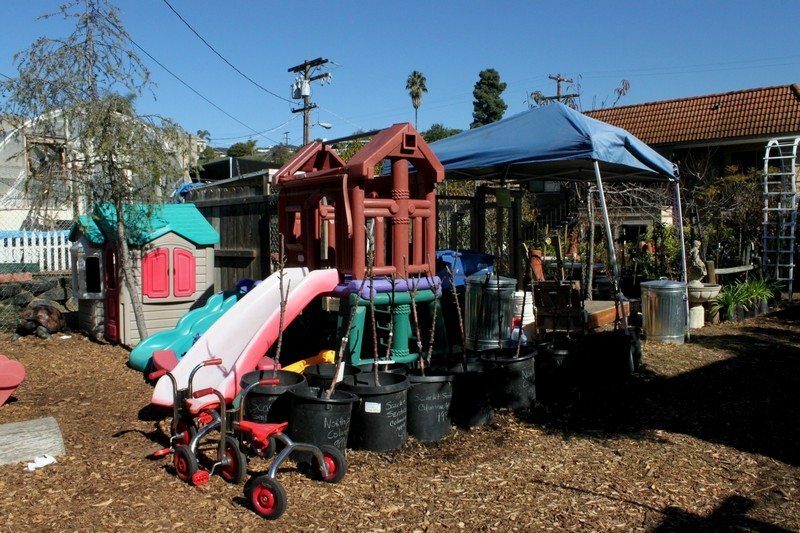 ENORMOUS thanks for giving the shout-out to our newest nursery additions Nate’s (owned by the gorgeous and talented Allison Strand – http://www.natesgardengrill.com) and the Hornbill Produce stand (a partnership with the San Diego International Rescue Committee – . Bill – you’re welcome. I’ve learned so much from visiting City Farmers, particularly in the California native section which is my favorite. Places like City Farmers are what make a world-class city and place to live – local business that care about the community and do more than sell goods to residents. Education, mutual support, unique products and most important to me – taking the long-view and espousing a message that ultimately improves the health and sustainability of our community and world. Thank you and everyone at City Farmers for all you do. I also stopped by Nate’s yesterday – fantastic! The space looks great and the food was delicious. I’ll be back again soon.